When things get heated in the kitchen (and we’re not talking about the food here…), personalities are bound to clash. Just the presence of so many independent, creative, passionate, and ambitious people in the same room will inevitably produce some disagreement. Whether you disagree with a fellow line cook about how the Beef Wellington should be prepared or are a chef who is frustrated with his or her brigade’s failure to execute up to standards, you need to know how to deal with conflict in a situation where teamwork is crucial. Learning how to cope with the multiple personalities in your kitchen and master group dynamics will bring your brigade together in the effort to put out some truly delicious food. To facilitate this process and help you uplift your team to be its best, we have some advice on how to bring your team together by creating an environment for open, healthy communication. One of the most important things that you can realize as a chef is that each individual in your kitchen comes from different backgrounds. Some cooks may have gone to culinary school while others did not, some cooks prefer to learn how to prep a dish hands-on while others would rather observe. As a chef, it is your job to pick up on these learning styles and approaches to cooking within your brigade so that you can instruct and lead them first as individuals and then as a team. 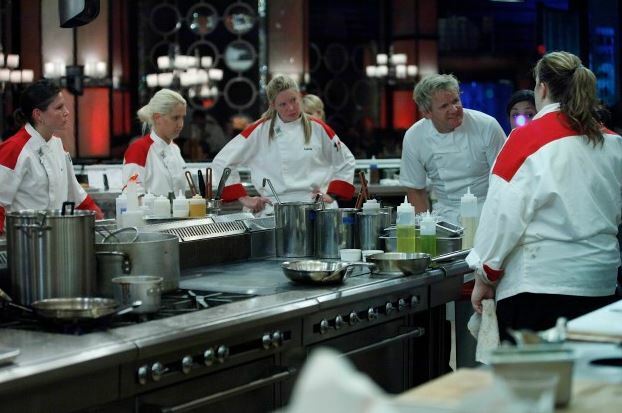 Another important thing to keep in mind is that you don’t want to pull a Gordon Ramsay (even though he is extremely entertaining/talented) and verbally destroy one of your cooks at the top of your lungs in the middle of service. Instead, process your frustrations and discuss your problems with this particular cook away from the eyes and ears of others in an effort to preserve their dignity as well as really get to the heart of what their problem is. In this more open, communicative environment, your team will feel more creative and united. Your encouragement of their potential should be rewarded with development in their career and some form of job advancement for those who truly shine. What are some tips that you could give other chefs on how to overcome communicative barriers and become a more united team? Great insight. I believe making it a priority to learn others’ motivation styles and making their success your success is key. Encourage in public and hash out issues in private, and keeping those issues private is key. If you’re both there for the same goal, it will make working with them much easier.